A leitmotif of global health is the fight between patients and multinational pharmaceutical corporations (MPCs) over access to drugs. Put another way, it’s a fight between some of the poorest people and the wealthiest economies on the planet. It’s bizarre, right? People with HIV or cancer having to organise and protest, often for years, to pressure their governments to resist efforts by MPCs to sell their drugs at fatally unaffordable prices. It happened in South Africa at the tail end of the 20th Century, in S. Korea, India and Thailand during the first two decades of the new century, and the fight continues in Colombia today. If you aren’t up to speed with recent events in Colombia, a letter written to the Government of Colombia by the then head of Novartis (a Swiss pharmaceutical corporation) Joseph Jimenez has just been leaked, and published online by Public Eye. This letter adds weight to the argument emerging from previously leaked letters that Novartis put considerable pressure on the Colombian government not to issue a compulsory licence to manufacture a generic version of one of its cancer drugs. 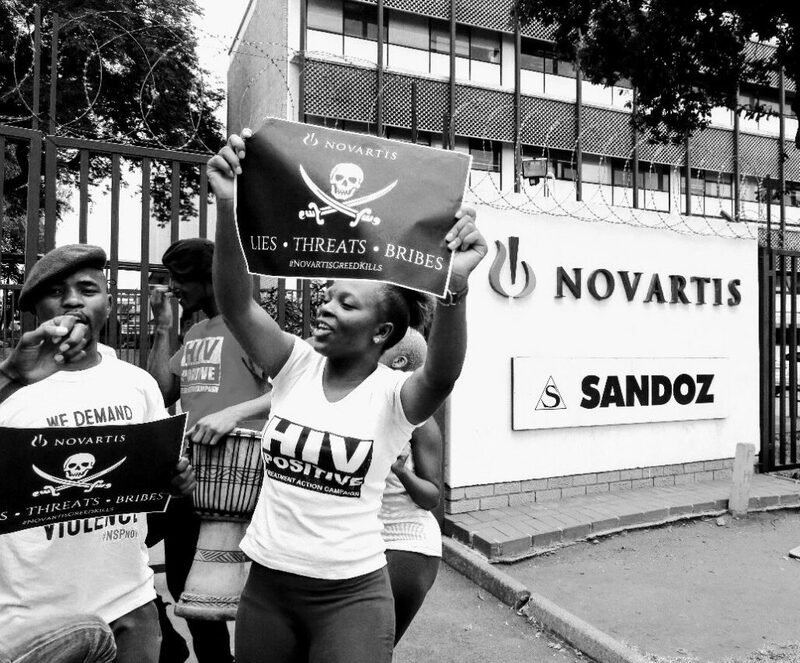 Non-Government Organisations (NGOs) such as the UK-based Global Justice Now have been raising awareness of the issue, protesting earlier this month at Novartis’ Annual General Meeting in Basel. And a joint letter from eleven NGOs opposing Novartis’ actions in Colombia has been sent to the Chair of the company’s Board of Directors. “A compulsory license allows a government to restore the competition in a monopoly market despite a patent, without the authorization of the patent-holder. It is part of several policy-space mechanisms also called ‘TRIPS flexibilities’. According to WTO, each member has the right to grant compulsory licenses and the freedom to determine the grounds upon which such licenses are granted”. If a government finds itself struggling to provide drugs for its citizens, it can compel the patent holder of that drug to grant a licence to another company to copy it (called a generic version) and (in theory at least) sell it at a significantly reduced price. TRIPS flexibilities – TRIPS stands for Trade Related aspects of International Property Rights – are protected by the World Trade Organisation (WTO) whose member states agree to respect them. And, on paper at least, TRIPS flexibilities are also recognized by the pharmaceutical industry. “Members may, in formulating or amending their laws and regulations, adopt measures necessary to protect public health” [Article 8]. “Each Member has the right to grant compulsory licences and the freedom to determine the grounds upon which such licences are granted” [Paragraph 5(b)]. According to TRIPS, then, its members (states) have the right to freely decide why they want to issue a licence. Pharmaceutical corporations have no say in the matter whatsoever. But try telling that to Novartis. You’ll probably know the pharmaceutical giant Novartis for one of its highly lucrative products – the anti-inflammatory drug diclofenac (net sales in 2017 of $465m). If you’ve been to the doctor with back pain, the chances are she will have prescribed you diclofenac (aka Voltaren). You probably won’t know Novartis for its cancer drug imatinib, unless you are unfortunate enough to suffer from Chronic Myeloid Leukemia (CML): imatinib is the most effective treatment for this type of cancer (net sales in 2017 of $1,943m). It won’t cure you, unfortunately, as the drug only retards the spread of the disease; if you’ve got CML, you’ll be taking this drug for the rest of your life. And therein lies the problem: imatinib is very expensive. Take a look at the figure below (I suggest you sit down first). It’s not just expensive in the U.S: at one point in the seven year legal battle between the Indian government and Novartis, the price of Glivec increased from Rs 8,500 to Rs 104,000! In Colombia, once Glivec was patented its cost shot up to $15,000 – or twice the Colombian average annual salary. The “real cancer killer”, to quote The Independent, is this kind of blatant profiteering from pharmaceutical corporations. That’s not how Western pharmaceutical companies see it, of course. If you believe the rhetoric, they are the champions of the poor. They argue that intellectual property drives innovation; innovation leads to price reductions; and cheaper drugs are a human right. Attempts to subvert the patent regime by governments are, reductio ad absurdum, a violation of the rights of the poor. As evidence, Novartis can point to its partnership with The Max Foundation through the Glivec International Patient Assistance Program (GIPAP) to provide free drugs to eligible patients in 80 countries. The industry would also have you believe that charging almost $140,000 for a year’s supply of imatinib is justifiable because it covers research and development of the drug in the first place. That argument has little credibility, as Marcia Angell argued in her 2002 co-authored piece America’s Other Drug Problem and later in her 2004 ground breaking critique of the pharmaceutical industry The Truth About the Drug Companies, the gist of which is summarised in her New York Review of Books essay. Putting aside the fact that much of the technological breakthroughs for CML R&D were from public sector innovations, a large chunk of that $140,000 will be to cover the opportunity cost of capital, with another chunk ear-marked to cover the cost of marketing. The actual cost of R&D is relatively small. A 2003 Guardian article provided the following breakdown of the costs of manufacturing a typical drug. There have been various analyses over the years of the costs of bringing a drug to market, with no agreement between industry estimates (which put the cost of bringing a drug to market as high as $2.6bn) and estimates from civil society groups (which both debunk – here and here – industry estimates and offer their own, lower, estimates – as low as $100-150m to develop a new chemical entity). A systematic review conducted in 2011 put the range anywhere between $161m to $1.8bn (the review was conducted before the Tufts figure of $2.6bn was published). Whichever way you slice the pie, it’s a lot of money. In the Colombia case, the irony is that until 2012 a generic copy of Novartis’ original cancer drug imatinib was available to patients, and treatment was affordable. In 2012, Novartis sought agreement from the Colombian government to grant a patent for its ‘new’ crystalline version of imatinib – imatinib mesylate (known by its brand name Glivec, or Gleevec in the U.S). The Colombian government refused, but that decision was overturned in the courts later the same year. Once on-patent, as noted above, the price of the new drug skyrocketed. Unsurprisingly, civil society groups in Colombia protested the price hike and demanded that the government issue a compulsory licence in order to bring the price down again. There then followed four years of failed negotiation between the Colombian government and Novartis, with the drug giant refusing to drop the price of its drug. In 2016, the government gave Novartis an ultimatum – either it lowered the price or a compulsory licence would be issued. 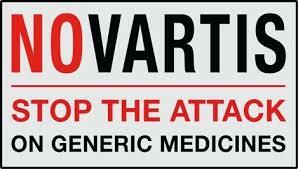 Novartis did what pharmaceutical MNCs always do in such cases. First, it began a strategy of intimidation and threats – threatening to take the Colombian government to task for violation of a Swiss-Colombian bilateral trade agreement, and then actually pursuing legal proceedings against the government’s decision to issue a Declaration of Public Interest (seen by the industry as a first step towards issuing a compulsory licence). Second, it lobbied its parent and allied governments (i.e. the Swiss and U.S governments) to put pressure on the Colombian government not to issue a compulsory licence. The leaked letters provide evidence of this pressure, cataloguing the measures the corporation was prepared to exercise in pursuit of its own interests. Although Novartis agreed to reduce the price of its drug from 147,200 pesos ($49) to 82,568 pesos ($27.6), a generic version would have been cheaper still. The suspicion is that the Colombian government buckled under pressure and chose the price-reduction option rather than issue a compulsory licence. Which is why the letters are important – a rare glimpse behind the curtain. Fortunately, thanks in large part to Indian legislation (its 1970 Patent Act in particular), India’s expertise in reverse engineering, and its efficient pharmaceutical industry, the generic manufacture of drugs has introduced competition to an otherwise monopolistic sector and, crucially, made drugs affordable. For example, multiple suppliers in India were able to provide a generic version of Novartis’ imatinib for just $200 for a month’s supply! India’s experience with Novartis is instructive – tell me if any of the following sounds familiar. During the 1990s, the Indian government didn’t offer patent protection to drug manufacturers, and imatinib wasn’t patent protected (for an interesting account of the history of Indian generic manufacture, see this article for Open Magazine by Sudhir Krishnaswamy). Recognising an opportunity, Novartis approached the Indian government asking for their crystalline version imatinib mesylate to be put in the queue for patent protection when India’s patent regime changed in 2005. The Indian government reviewed Novartis’ request in 2006, but, unlike the Colombian government, decided that the new molecular variant wasn’t really that different from its predecessor imatinib, and decided not to grant a patent for its drug. For a summary Q&A of these issues, see MSF’s briefing Patents in India and the Novartis Case. Miffed by this, Novartis and the Indian government spent the next seven years in and out of court, with Novartis crying contravention of World Trade Organisation (WTO) rules and the Indian government crying ‘evergreen’ – the name given to making small modifications in a drug’s molecular composition to allow a pharmaceutical company to extend patent protection on old drugs by claiming that are new ones. In 2013, the Indian Supreme Court finally decided in favour of the Indian government. Whether it’s in Colombia or India, Brazil, Thailand, or S. Korea, pharmaceutical MNCs do everything they can to protect their existing patented drugs from generic competition or extend patent protection on their drugs through ever-greening. But don’t be fooled: this isn’t about encouraging innovation, lowering prices or to protecting the rights of the poor. No, it’s simply because they want to squeeze as much profit as possible, for as long as possible, from their products for their share-holders. They know that once a generic version of a drug enters the market, $billions of profit can be wiped off the on-patent original. I mentioned at the beginning of this post that the fight for access to affordable drugs is a leitmotif of global health. People in Colombia and India with CML have had to fight for affordable drugs against one of the most economically powerful corporations represented by one of the most powerful lobby groups. You’ll often hear global health academics talk about global health governance, where governance “refers to the totality of ways in which a society organizes and collectively manages its affairs”. It should be pretty obvious from the experiences described above that governance doesn’t really describe what’s going on – not at all. Society doesn’t “collectively manage its affairs”. Instead, wealthy members of that society do everything in their power to remain wealthy, at the expense of everyone else – especially the poorest members of society. 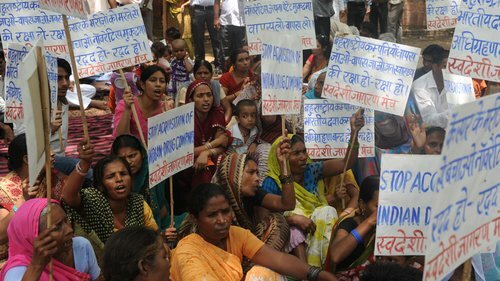 As the Former Vice-President of Pfizer Peter Rost once said: “Drug companies are not there to protect the Third World. They’re there to make money. Pure and simple. That’s it”. We will always have to fight against that.